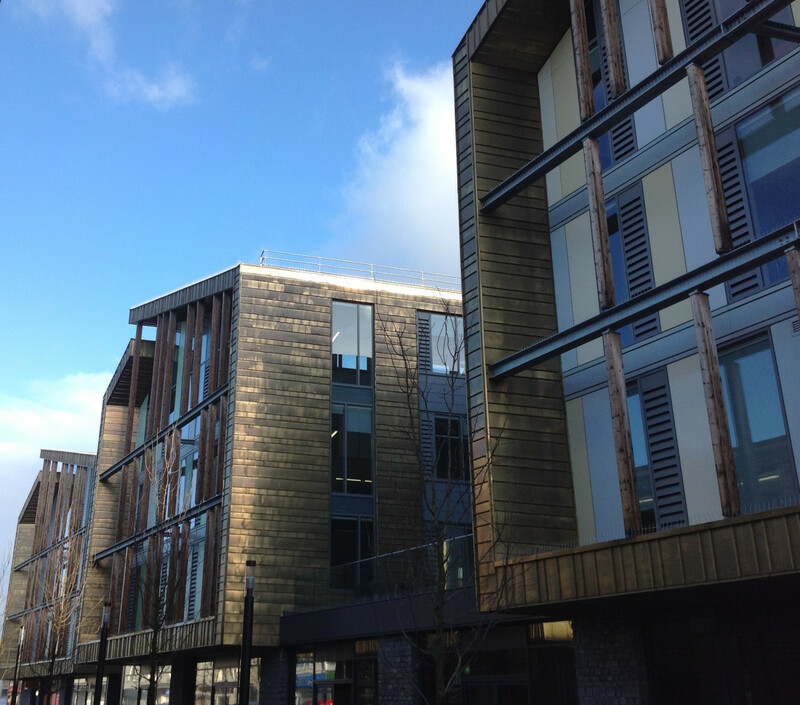 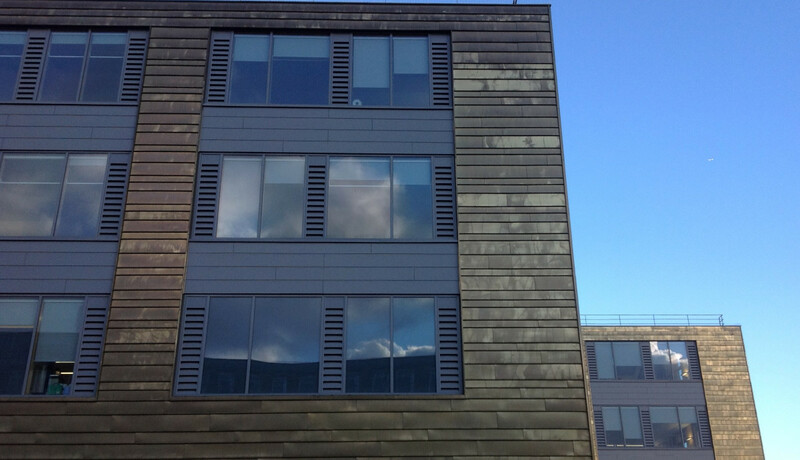 The project comprised copper cladding to new offices being the first phase of Keynsham Redevelopment. 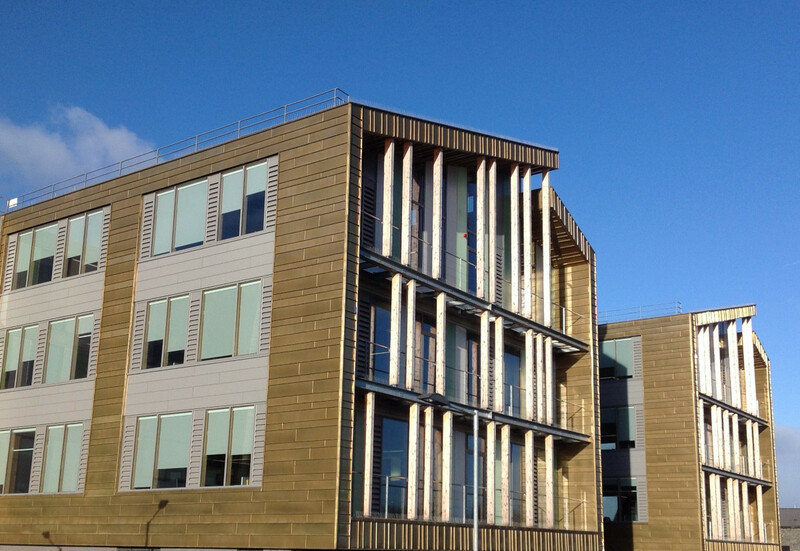 Tecu Brass was used on the commercial office part of the development and Tecu Gold on the new council offices. 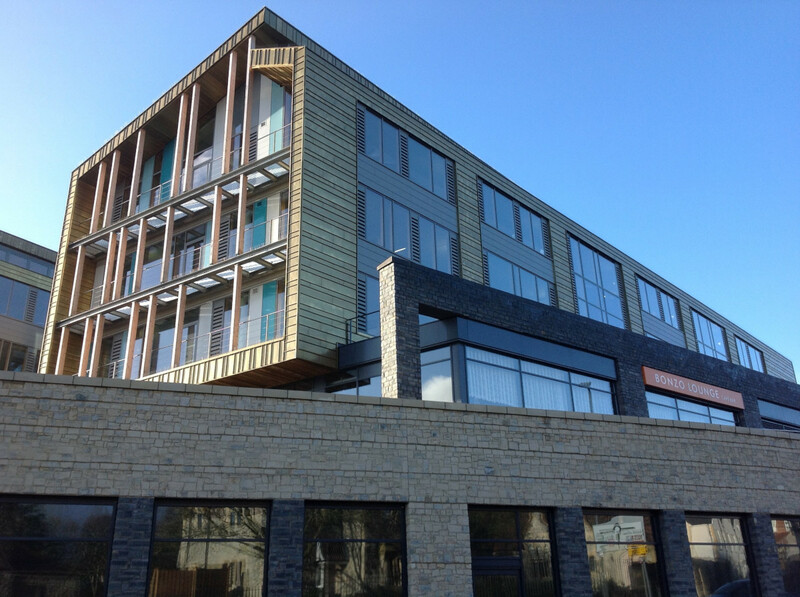 The project shows a high degree of skill in setting out the elevations with seams aligning at corner fascias and recesses, set out to 4 different widths.